M’Lady Tony decided she had had enough. This small bronze coin may appear only to be the size of a dime, but contained here in holds magical powers. It is said (by those who speak of such things) the bearer of such a coin has half a clue as to what is going on in the world around them. To verify this one only needs to turn the face of the Dude around to discover the incantation inscribed “Good for half a KLU”. Yes, I have been blessed (a number of times) by the Klu by Four of the sacred Klu Fairy, (and still have bruises) but to keep her long lasting wisdom, this small talisman carried with the rest of my coins has given me the “pass” I need so dearly with these younger whipper-snappers. I would recommend the Dude Coin to any parent who has teenagers or works with folks who are “missing something” but don’t know what it is carries such a coin are protect from the accusation that they are indeed clueless. Note the coin itself: see the face, the slack jaw, the look of be-fuddlement in the eyes? (some have suggested it a self portrait; but just to be clear I do have a mustache…) the Dude is indeed: Clueless. Well never fear, the keeping of this coin (see back) is worth half a clue; you never need feel out of touch nor not in the know. Demonstrate to your friends that you have half a clue: whip it out and show ‘em! 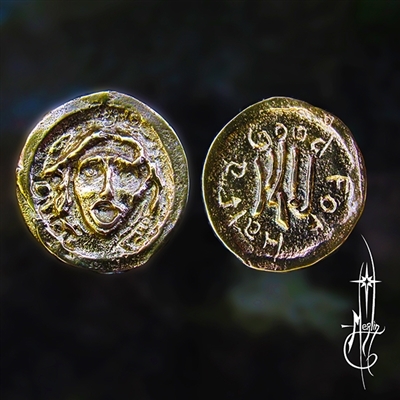 To aide the Hapless Wonders of the World, I am now providing a clue coin with every purchase over $50 with Amulets by Merlin with one of these important, necessary, versatile and often used talismans for the clueless. 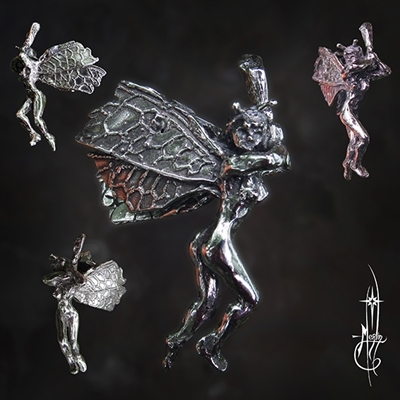 May the Klu Fairy be merciful and leave relatively painless knots of wisdom on your brain pan! May the Dude Himself smile down upon you and give you peace. through out the eastern seaboard.